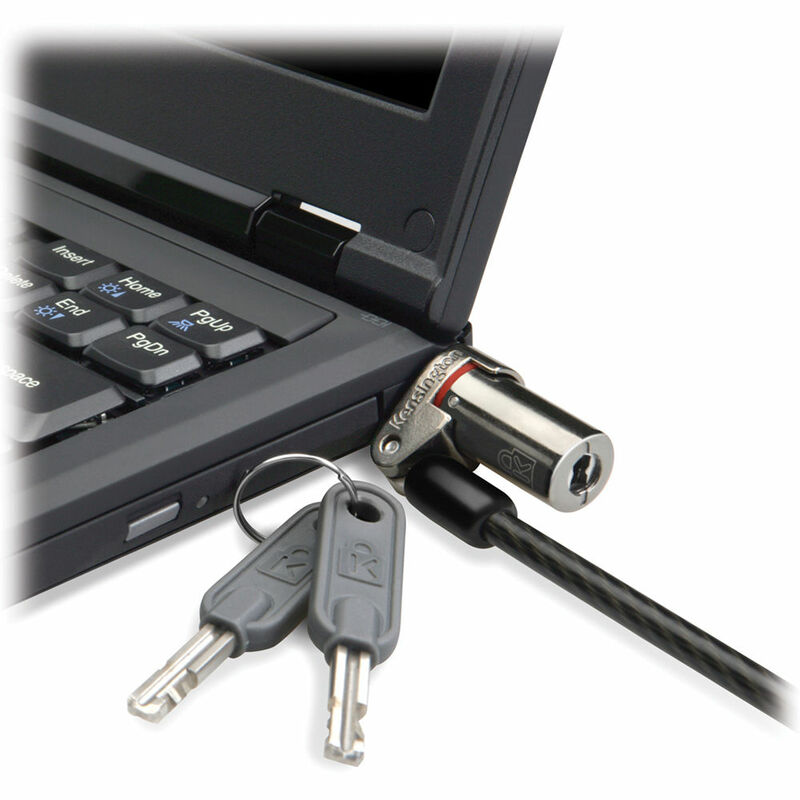 The MicroSaver DS Custom Keyed Ultra-Thin Notebook Lock-Master from Kensington secures and protects the thinnest notebook. The nearly impenetrable disk style keyed locking mechanism along with an advanced cable design provides greater security. The slim profile lock attaches to the thinnest computers and the rotating, thin lock head and a pivoting cable allow easy access.